Can you give me an estimate for localization of my website? What are the steps to localize a website? How do you process frequent updates? Localization can go far beyond translation when the product being localized is a software product or a website. A product that is well internationalized during its development cycle will pose fewer challenges during its localization. Separation of text and source code, the capacity of the product to handle different character sets and local standards are all crucial aspects of the internationalization phase of a product. "Globalization addresses the business issues associated with taking a product global. In the globalization of high-tech products, this involves integrating software localization throughout a company, after proper internationalization and product design, as well as marketing, sales, and support in the world market." The term "globalization" is used to express different concepts; it is sometimes used interchangeably with "internationalization." In line with the above definitions, we like to think that the concept of globalization covers the many business and management issues a company faces when bringing a product to other regions of the world (after the product has been internationalized and localized for that region). 4. What is double-byte enabling? 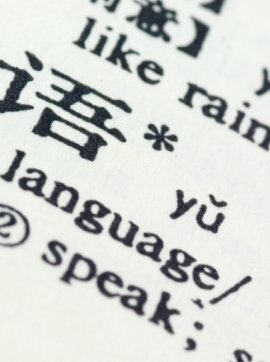 In order for a piece of software to function properly in China, Korea and Japan, the English-language code has to be enabled to support double-byte Asian characters. A double-byte character is composed of a lead byte and a trail byte that must be stored together and manipulated as a unit. 5. Can you give me an estimate for localization of my website? We would be happy to provide you with an estimate for localization of your website. So that we can produce an accurate bid, we will require access to all the necessary source files that constitute the product, including all html, asp or xml files (or other file formats) as well as layered graphic files. 6. What are the steps to localize a website? Our team will carry out a quality check prior to delivery to the client to ensure that the localized product is free of localization bugs. 7. How do you process frequent updates? When applications require frequent updates, we will assign a translator/editor team in each target language to facilitate quick turn around of translated text. We work with your staff to prioritize updates. 8. Do you have testing facilities? We do not have testing facilities, but are able to provide testing experts/QA consultants to work with your staff to ensure product compatibility, functionality, and installation.